Accountability, policy, and broader economic, political, social, cultural, and philosophical contexts. The minor in educational studies is a non-certification/licensure program designed specifically for Honors College students who are interested in educational issues but who are not education majors. 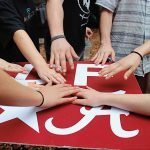 If you are interested or currently taking minor courses, please make sure to officially declare the “Educational Studies for Honors College” minor via myBama. Enrollment in each course will be limited to 20. Students must maintain a 3.30 GPA in all coursework. 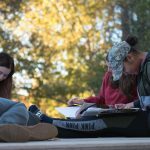 The minor consists of three required core education courses (9 hours), one capstone seminar (3 hours), one Honors Foundation (3 hours), and an advisor-approved elective course (3 hours).